Former Florida Governor Charlie Crist will be a Distinguished Professorial Lecturer at Stetson University College of Law, starting this semester. Former Florida Governor Charlie Crist. Click image for high-resolution version. Crist will serve as a guest lecturer in various classes, interact with students, and deliver presentations on the Stetson Law campus and at law school events. Crist plans to present Stetson Law’s Nichols Foundation Prominent Speakers Lecture Series in the spring. Established in 1995, the Nichols Series enriches academic life at Stetson by presenting prominent speakers from business, government and the law. “Stetson University believes in public service and practical learning, and we are thrilled that Governor Crist will be sharing his unique insights into Florida law and policy with our students,” said President Wendy Libby. Crist, who recently joined the Morgan & Morgan law firm, said he is motivated to share his experiences in public service and what it means to serve the people of Florida to try to make their lives better. He said he plans to focus his teaching at Stetson on government and the law. 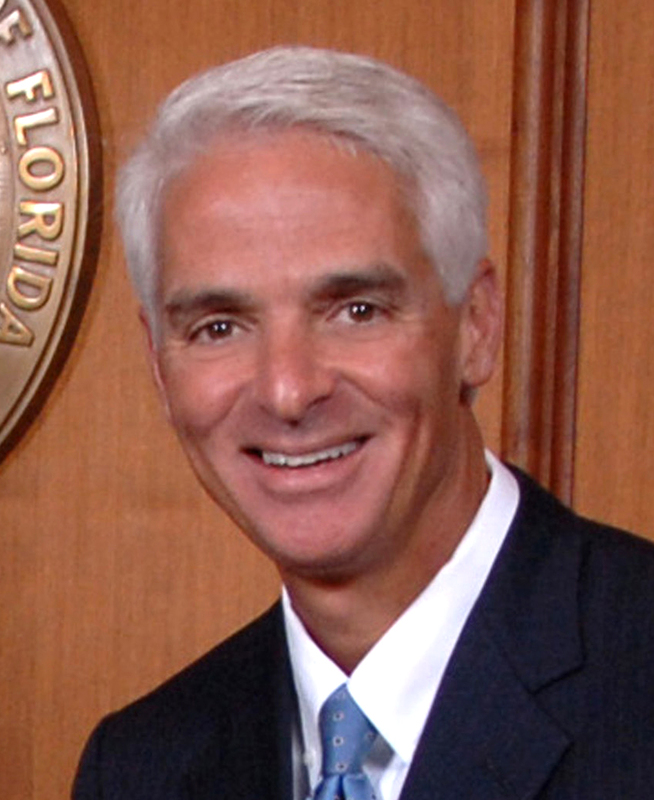 The governor of Florida from January 2007 to January 2011, Crist’s tenure in public service includes serving as Florida State Senator, Education Commissioner and Attorney General. Crist moved to St. Petersburg, Fla., with his family as a child and attended the local school system through high school. He received his undergraduate degree from Florida State University and his law degree from the Cumberland School of Law. His father, St. Petersburg-based physician Dr. Charles J. Crist, served on the College of Law Board of Overseers from 1979 through 1997.